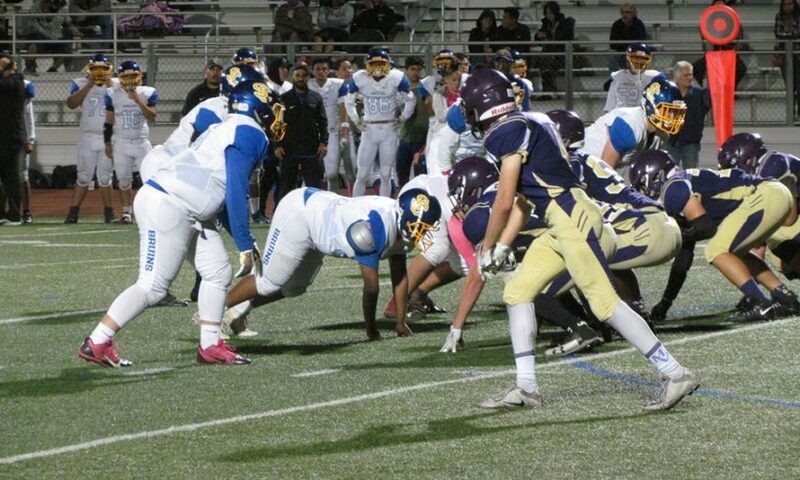 Coming off a disappointing home loss last week, the Santa Clara Bruins came out hungry on the road against Monta Vista Friday night. Bruins’ quarterback Nick Garcia led the offense to five first-half touchdowns against the Matadors in an eventual 42-27 victory. Garcia accounted for all six of the Bruins’ total touchdowns, four with his legs and two with his arm on passes to Richard Corona and Joseph Hernandez. While Garcia accounted for all the touchdowns, the Bruins’ tailbacks produced a much better ground attack than they did against Mountain View last week. Both Bailey Mungaray and Geary Brown finished with a per carry average over five-and-a-half yards. Mungaray finished with 52 yards on eight carries, while Brown rushed for 87 yards on 15 carries. One of the most noteworthy coaching decisions from Bruins Head Coach Burt Codera was to immediately hand the ball off to Brown on the very next offensive play after Brown had fumbled on the prior drive. Brown’s fumble led to the Matadors cutting the lead to 14-13, but Codera purposefully gave the ball right back to the junior tailback. Both coach Codera and Garcia were quick to praise the offensive line for opening up those holes for Brown and Mungaray. The performance of the five starting linemen — Joey Arey, Justin Rogers, Morgan Cardoso, Jacob Frank and Nicholas Cardoso — was one of their most impressive of the season. 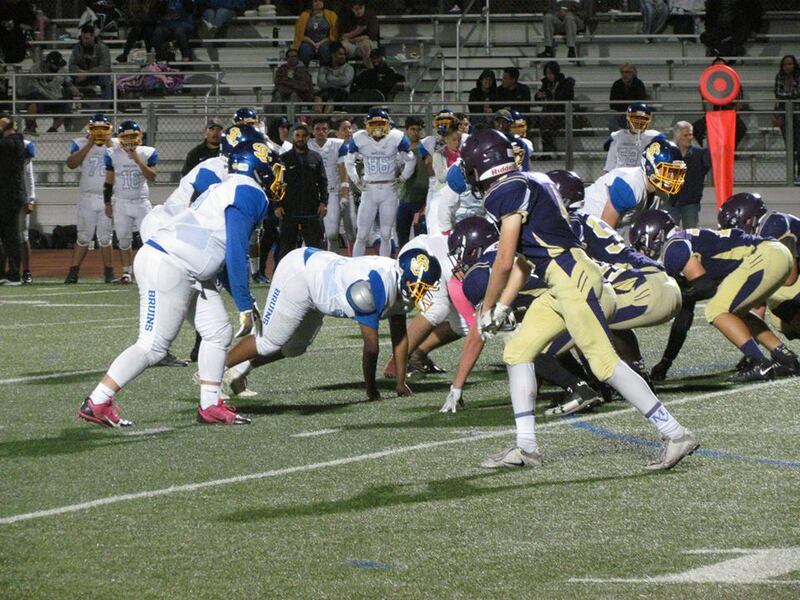 While the Bruins’ rushing attack thrived, their defense bent, but didn’t break against the Matadors. Corona came up with two interceptions and Hernandez made a big pass breakup. Hernandez often stays late after practice and gets extra reps in with Garcia. The two play catch after all the other players have gone home. The Bruins (4-1) will now host Gunn (2-3) in the league finale on Nov. 2. A win would put Santa Clara in the playoffs, a loss would see their season come to an end.